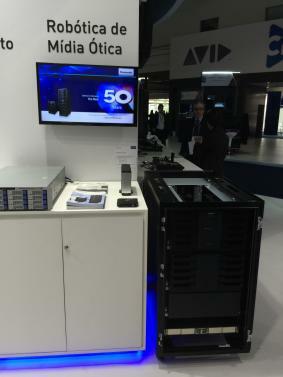 4K cameras, camcorders which support several video formats, and a data storage system stand out in a technology fair aimed at the broadcast industry in São Paulo. 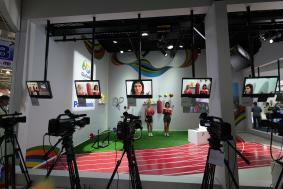 São Paulo, Brazil - Panasonic launched in Brazil a new line of professional cameras, including models with 4K resolution, at SET Expo 2015. 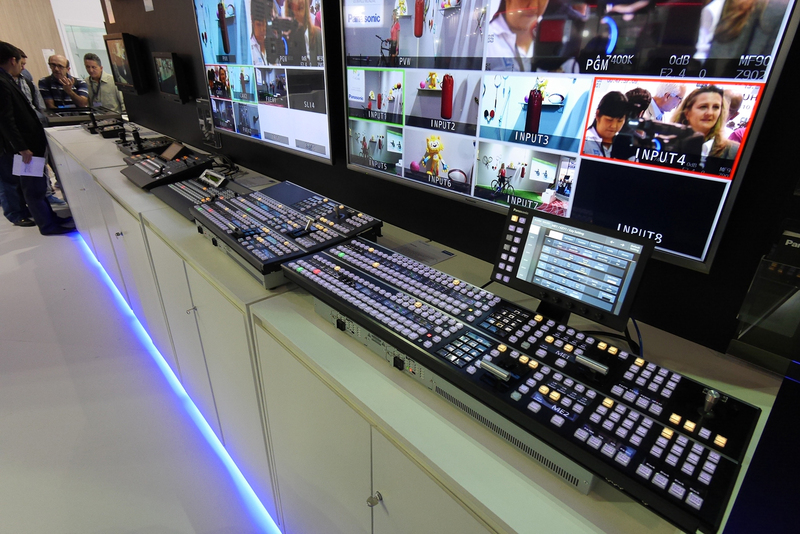 The leading business and technology fair for the broadcast industry and new media in Latin America was held from August 25 to 27 at Expo Center Norte, in São Paulo. As the Rio 2016 Olympic Games near, the brand, an official sponsor of the event in the audio & video category, has been adding Brazil to its international launch calendar and is bringing to the country extremely high-quality equipment. 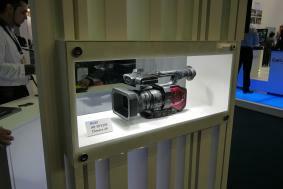 Many professional devices for image capturing and editing were showcased. One of the highlights was the global launch of AJ-PX380, an affordable shoulder mount camera that is ideal for journalism and video production. The multi-codec device is more flexible in terms of video formats, making editing easier and offering high-quality recording options for streaming and FTP transmissions. To ensure optimum image quality, this camcorder uses 2.2-megapixel 1/3-type 3MOS image sensor. 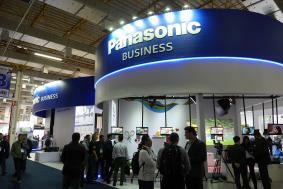 According to Sergio Constantino, Sales Manager of Broadcast Products at Panasonic Brazil, the fair is a great business opportunity for Panasonic. "We want to expand our B2B area in the country and the fair will contribute to that. We are presenting an innovative product line to the market, with global launches, showing the importance of the Brazilian market for Panasonic in this segment." One of the products presented in the stand was VARICAM35, a professional broadcasting camera with 4K-resolution capabilities. The camera is able to record with 4096x2160p resolution (17:9 ratio) for capturing 4K images, and supports several formats, including Ultra HD, Full HD (starting at 1080p) and High Definition (starting at 720p), being the perfect camera for video productions, TV series and music concerts. This is the only 4K camera with ISO 5000, allowing users to capture images in dark environments without granularity or noise. Interface may be through a fiber optic cable, instead of memory cards, and the user is able to control the camera from up to 100 meters away, thanks to the MultiDyne system. Another feature is V-Gamut technology, which enables a fuller array of colors. With a Portuguese menu and catalogue, AG-DVX200 was shown in action for the first time during an event. This 4K camcorder is small and portable, ideal for journalism and video productions. The integrated LEICA DICOMAR F2.8 lens features 13x zoom, large-format 4/3-type imaging processor for exceptional images, and super-high resolution 4K/60p format, in addition to the image quality provided by the LEICA brand. Launched during the NAB Show this year, AW-UE70, the 4K Integrated Camera, is the first camera featuring PTZ (Pan Tilt Zoom - the lens can turn 360º). If steadied at a given location, AW-UE70 may be remotely controlled. Another functionality is IP streaming for live transmissions, in addition to the embedded MOS 1/2.3 sensor, 20x optical zoom, ND filters and night mode. This camera is ideal for video productions, live events and video conferencing. It may also be adapted to sports stadiums, conference rooms, auditoriums, retail stores, etc. Panasonic is also bringing to the Latin American market the Blu-ray-based data storage system LB-DH8. This modular system stores up to 638TB, and is associated with the Alfred system video server, which indexes and generates input data. It is the perfect equipment to store content created by broadcasters and video production companies, and is suitable to other market segments, such as banks and corporations. Showcased many professional devices for image capturing and editing.